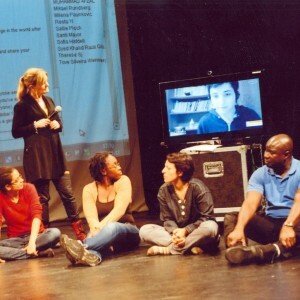 In what ways can community radio spark social change? This web seminar will cover the aspects of community radio, discuss why information matters and how the voices of the community relates to development, with examples from Tanzania, Laos and Myanmar (Burma). The seminar is based on the bachelor thesis ”A path less travelled – A qualitative study of media, participation and democracy in Shan state civil society, Myanmar (Burma)” by Fredrik Åkerberg, and part of the Media and Communication Studies programme at Malmö University. The data for the thesis was collected during a Minor Field Study in Myanmar during spring 2016 and aimed to explore how parts of civil society relates to media processes in a period of transition. – Realizing Communities and Communication – Helen Hambly Odame, Associate Professor, University of Guelph. – Web 2.0 Innovation for Rural and Remote Community Development, Atahraul Chowdhury, Postdoctoral Researcher, University of Guelph. Discussant, Ronald Stade, Malmö University. 10:50 – 12:30: Session 2 Mediated Transformations of Rural and Remote Areas of Canada: Practical Experience and Academy. In this session, Guelph’s Campus/community Radio Station CFRU 93.3 will broadcast live a World Café that involves a live interview between radio host and four alumni or graduate students who will talk about their research and live experiences with community radio and social change issues.